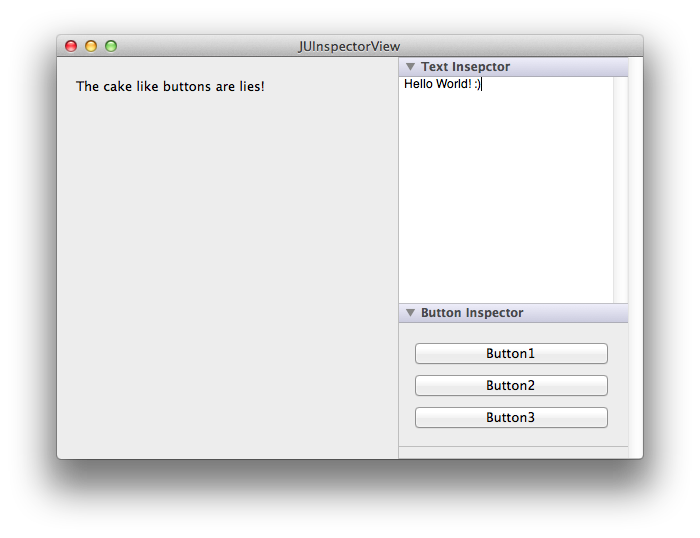 JUInspectorView is a shameless copy of Xcode 4s inspector views. It draws a header with a title and then a custom NSView or NSView subclass as the body. There is a disclosure triangle to open/close the body views and everything is totally like in Xcode 4. You can insert the JUInspectorViewContainer (the component which contains all the inspector views) into almost any other view hierarchy, although it makes more sense to add it into a NSScrollView which than can be put into whatever you want.